Middle@: [Peninsula-Patriots] Fwd: Advance notice of "Cantor Rant" event! [Peninsula-Patriots] Fwd: Advance notice of "Cantor Rant" event! Subject: Re: Advance notice of "Cantor Rant" event! Oh No!! We are protesting Wittman on the 26th. See attached flyer - 2 sided with his votes on second page! Folks need facts to fight with and get focused. I hope we can get our folks to rally twice! I love the idea! Subject: Advance notice of "Cantor Rant" event! It's Time to Hold Congressman Eric Cantor Accountable! This time he's gone too far! Eric Cantor has had a less-than-acceptable voting record for far too long, and we have given him a pass. But, this time he's way out of line! Despite the fact that the people he represents are clearly against amnesty in any form, the "Gentleman from Virginia" is going out of his way to promote just that--Amnesty! Eric Cantor recently went on a "Becoming America Pilgrimage", pushing his big-government, unconstitutional plan to give millions of illegal aliens blanket amnesty! And do you know who he teamed up with to shove his unwanted agenda down your throats? Progressive Democrats! Rep. Joe Crowley (Vice Chair of the Democratic Caucus) and Sen. Robert Menendez (an extremely controversial Democrat) were Cantor's fellow "pilgrims." Instead of standing up to the Progressives who are rapidly destroying our Nation, he's actually joined their side! You need to let the House Majority Leader know exactly how you feel! 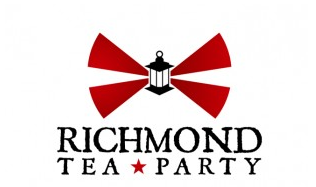 The Richmond Tea Party is hosting a coalition of Tea Parties and other conservative groups from across Virginia & beyond! Details: More to follow, but mark the day on your calendar! We are making arrangements now for permits, etc. We are planning for the sidewalk protest, followed by a nearby town hall meeting indoors. Again, details to follow...Note: Congressman Cantor will most likely NOT attend, so we will use the Clint Eastwood "empty chair" format. Media clips of Congressman Cantor's responses to current issues will be used to allow him to "speak for himself." Tea Party supporters will have 1-2 minutes of time to "vent" and speak to the issues of amnesty, defunding of Obamacare, and the targeting of Tea Parties! There will be a few scheduled speakers, as well, but we want this to be mostly a "grassroots" event. In the meantime, mark your calendars for August 27th--Help us put the heat on Eric Cantor!